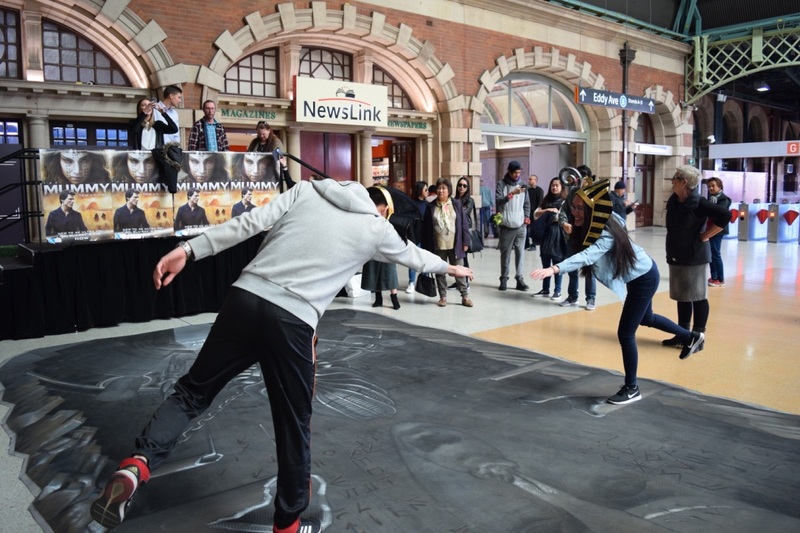 Sydney commuters were brought to a standstill as The Mummy’s tomb appeared in Central Station this week. Stunned passers-by were enthralled by the dramatic sounds from this year’s greatest fantasy/thriller film. 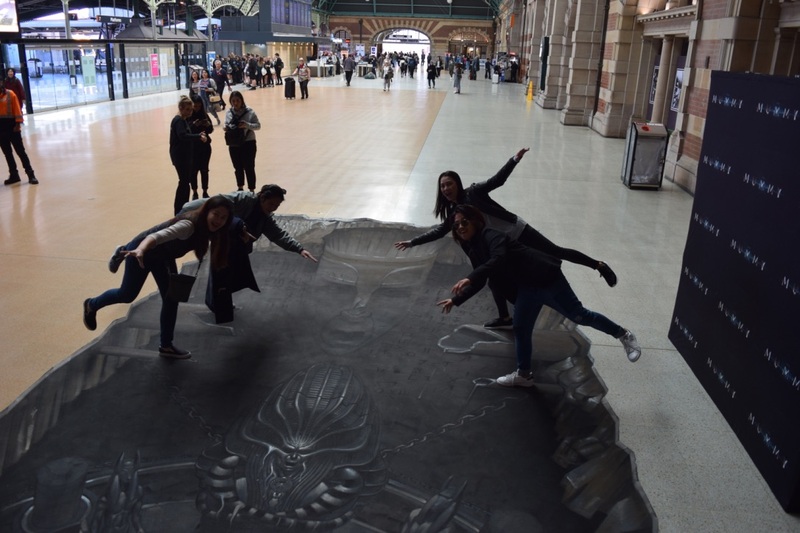 In celebration of The Mummy’s release to DVD, 4K Ultra HD and Blu-ray™, Universal Sony Pictures Home Entertainment brought The Mummy’s Tomb to Sydney’s Central Station. The installation was only to be seen on September 6th. The 3D art installation saw commuters stopping, taking photos and uncovering the ancient secrets of Princess Ahmanet’s sarcophagus. The tomb artwork was created by Zest Events and created an “unreal experience” for commuters coming through the Grand Concourse. Props such as ancient masks and headwear were provided and a photographer captured these brilliant moments to create the ultimate 3D experience. The Mummy and her man. Laughter and Egyptian themed music filled the station as people strolled up to get their photos taken with the 3D installation. It was as if they were falling straight into the film! Don’t look down! The Mummy will get ya! Passers-by also mentioned that this film “Revitalised the franchise” with Tom Cruise being a “great addition to the film series”. Many commuters stopped in their rushes to get to work, university or school just to look in awe at the beautiful artwork. The artwork was at Central Station from 7am-12pm, going an hour overtime to accommodate for the crowds. 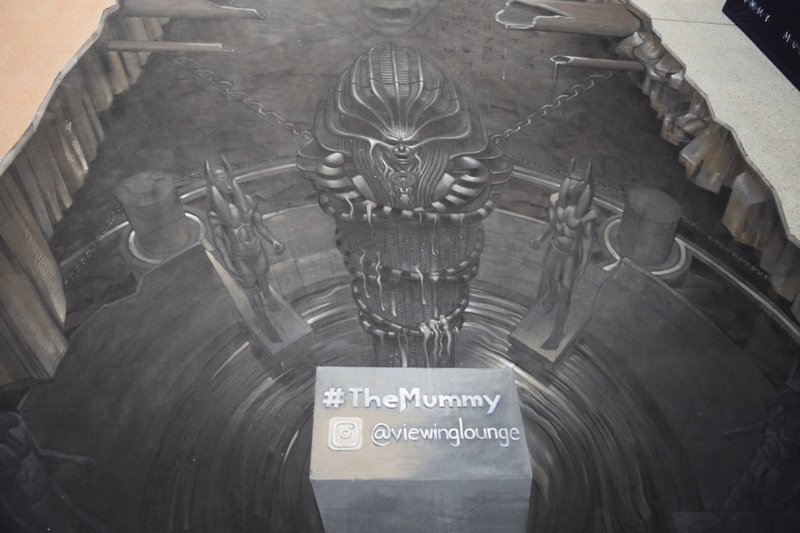 The station was transformed into Ancient Egypt with the ambience of mummifying sounds and music from the film. What a way to commence the home entertainment release of the film, let’s just hope that there won’t be a real Mummy appearing any time soon. The Mummy is available on DVD, 4K Ultra HD and Blu-ray™ now.